Review: Phil Wickham's "Children of God" CD is full of passion and praise. I've always enjoyed his music and was stunned to find out that he had surgery to remove a vocal polyp that could have ended his professional career. Thankfully, the surgery went well and his vocal chords healed. The experience gave Phil a new perspective and purpose for his music. My kids and I have listened to the CD countless times in the van since we received it. It has been a welcome break for me from endless children's music. :) LOL. My 2 year old son doesn't demand I change the CD and actually is engaged, asking me the names of the songs. The music is smooth and worshipful. It brings me joy and seems to keep the van ride calm and peaceful. The songs are big...I could see most of them being sung in church, especially the single "Your Love Awakens Me". I really enjoy so many of the songs that it is hard to pick a favorite. "Doxology/Amen" is just beautiful. There is this one note in the song that gets me every time. In "The Secret Place" featuring Madison Cunningham, Phil and Madison's voices blend really well together. I really connect with "As It Is In Heaven" because I want to put all my pride and ambitions aside and make Jesus the center of my life like the songs words say, even though I struggle with doing this in every area. "Spirit of God" is another favorite. Really I just like the whole album. It is catchy and has a great message. 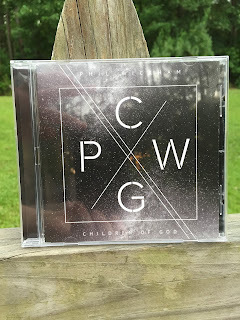 I received a free copy of Phil Wickham's "Children of God" CD from Flyby Promotions in exchange for an honest review. Here's the Official Music Video for "Your Love Awakens Me"